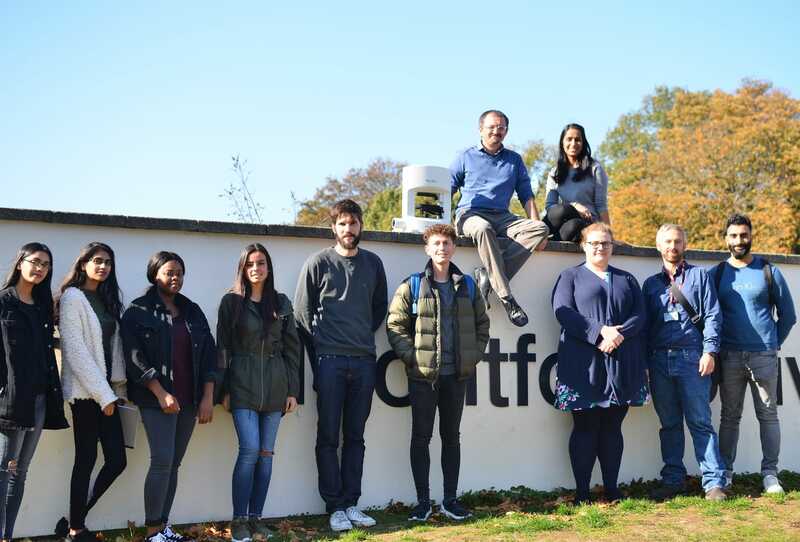 This week, the Nanolive team traveled to the UK to install the 3D Cell Explorer for the BSc Biomedical Science (BMS) undergraduate course at De Montfort University! Dr. Chris Young’s undergraduate course are the first students in the UK to use the 3D Cell Explorer for Higher Education. Get more information about the the 3D Cell Explorer for Higher Education here: https://nanolive.ch/3d-cell-explorer-for-higher-education/. De Montfort University is planning to exploit the power of the 3D Cell Explorer microscope to observe live cell processes such as muscle contraction and autophagic cell death, and pathogens. We are wishing the Biomedical Sciences course all the best with the 3D Cell Explorer and new insights to live cell imaging.